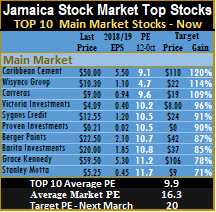 Decline in the prices of three stocks during the week and gains by others resulted in changes to the IC Insider.com TOP 10 list this week. 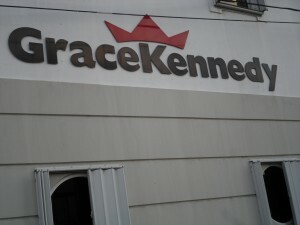 Grace Kennedy pulled back to $59.50 and Proven Investments down to 21 US cents and Access Financial falling, with the offer at $45.50, Dolphin Cove and Iron Rock declining to $4.50 moved into the top stock list, taking the place of Sagicor Group that moved up to $42.55 and Salada Foods that moved up to $24.95 in the main market, while Caribbean Cream that fell to $6.16 to enter last weeks’ list moved up in price to $7.68 and with a slight downgrade to earnings to 65 cents per share, fell out of the top list and Caribbean Producers climbed to $7 and is also out. 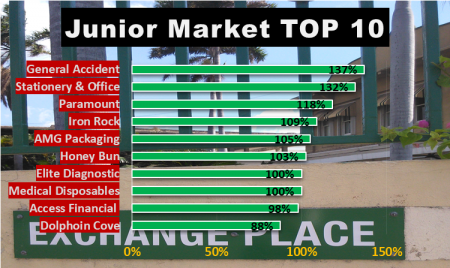 The main hit new historical highs on Friday resulted in the overall PE for the main market rising to 16.3 up from 15.8 from the previous week, the PE of the Junior market remained unchanged at 15.8. 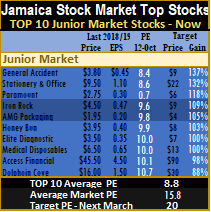 The PE ratio for Junior Market Top 10 stocks average 9.5 and the main market PE is now 9.9, marginally higher than the prior week’s level, as the market continues to see an upward revaluation of the multiple. The TOP 10 stocks now trade at an average discount of 40 percent to the average for the Junior Market Top stocks but it’s a third of what the average PE for the year is likely to be of 20 times earnings. 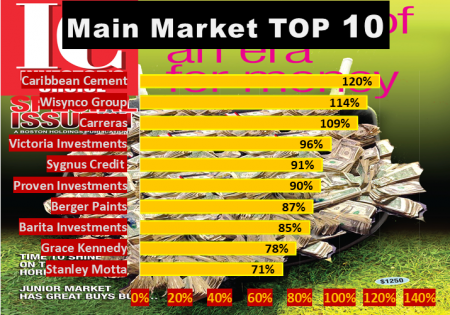 The main market stocks trade at a discount of 39 percent to the overall market.